Trying To Forget Your Cancer Memories - Is This Really Helpful? Looking back, you might have a whole host of painful memories and anxieties from treatment that are just too raw to dwell on. I sometimes imagine I have a little brain-hand which throws these thoughts out of my mind and down to the very bottom of my feet, far far away from conscious thought. It is pretty strong, this brain-hand, but it doesn’t have an easy ride of it: there’s quite a lot I don’t like to think about. Often, negative thoughts manage to ooze between its fingers and sneak around its palm. Memories of my diagnosis, sharing the news, the experience of walking to my surgery, waiting for scan results – these are my traumatic thoughts that I’d really rather stayed firmly hidden in my toes. They remind me of my mortality. Now that I’m in remission, surely I can forget all that? Yet entwined with the horror and the stress and the dread, the anxiety, fear, guilt, jealousy and whatever else, I've found there's a little shred of freedom to these memories. 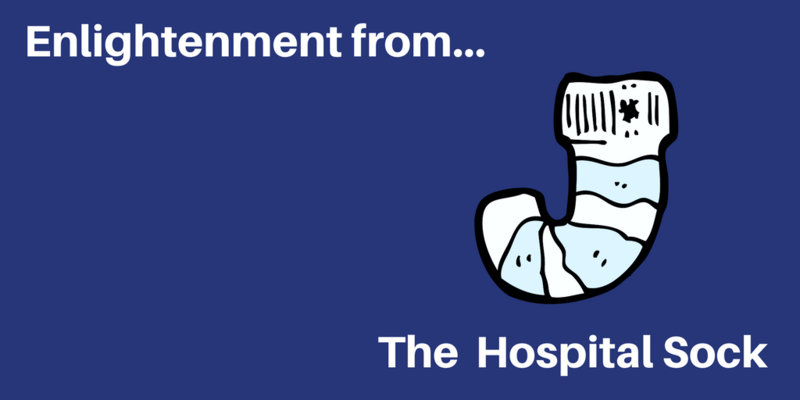 Hospital Socks are a rite of passage. It's a tricky feat: walking to your surgery wearing those ridiculously slippery blood clot-socks. My hour came early one April morning. I’d just bid farewell to my family by text message, trying not to dwell on the thought I might never see them again. I was first up on the operating table and the walk felt like my final death-row trudge. Sick with anxiety, I was curiously detached at the same time. The shiny orange floor made my socked-feet slip like a child on skates. I wasn't controlling my direction, let alone worrying about my five year plan. I could roll my eyes at myself. All that suffering over past heartbreaks. All that unnecessary moping and melancholy. What had it gained me? It was a dark realisation. Much like the opening of a bank safe, I could almost feel the clicks in my brain as everything fell into place. The dreadful horror of that experience made me see. Forgive the cliché, but I suppose I had one of those life-flashes-before-eyes moments. Facing my mortality and the menace of death had put everything into perspective and I had one hell of an epiphany. I stopped feeling anxious about what others thought of me, or worrying about that extra stone of weight I wanted to lose, or the frustrations of my family. These trivialities became inconsequential mind clutter. They just fell away. It left what was actually important: relationships with the special people; the joy of feeling alive; the beauty of the world around me. I could see things in perspective with such clarity. So I promised if I survived I wouldn’t allow myself to be bogged down with trivialities again. I wouldn’t be wasting my time. If my job wasn’t rewarding, I’d sack it off; if a friendship was hurtful, it would end. I would follow my principles and my passions and be less like the sheep that society made me. With my health, anything would be possible. ...Well, that didn't go entirely to plan. Epiphanies like these occur in such dark times that we instinctively want to stifle them. To throw them out of our mind and forget. But by doing so that lucid perspective is gone too. Perspective seems to only work through contrast: comparing thoughts or events or feelings. Cancer gives us an almighty experience to which many events become mere shadows in contrast. But by avoiding the cancer memories, we are robbing ourselves of the experiences that would fuel our perspective on the world. Sometimes I recall the key moments of my diagnosis head-on. I close my eyes and pull out a memory – whether the hospital socks, the time of my diagnosis, the walk in the countryside that revealed the beauty of life and how much I wanted to be alive. I remember all the fearful thoughts and it makes me realise how far I’ve come. That I’m alive. That I’m in remission. That I’ve been given a second chance. That I have the choice to remember that time when I learnt the value of life. A time when I promised myself more. This approach can help with the ultimate of anxieties: the dreaded fear of recurrence, when the awareness of our mortality has become the crippling anxiety itself. Everyone tells you there’s no point worrying over it – being anxious about something that hasn’t happened and might never do. But that’s mostly what worries are. You can still apply your bird’s eye perspective - the realisation of what was important. Should you be wasting your limited time worrying about your limited time? I try not to. I've faced my mortality. Yes, I'm going to do it again at some point, but there’s no point spending my life worrying over it. I (try!) to let it inspire me to do bigger, greater things instead. 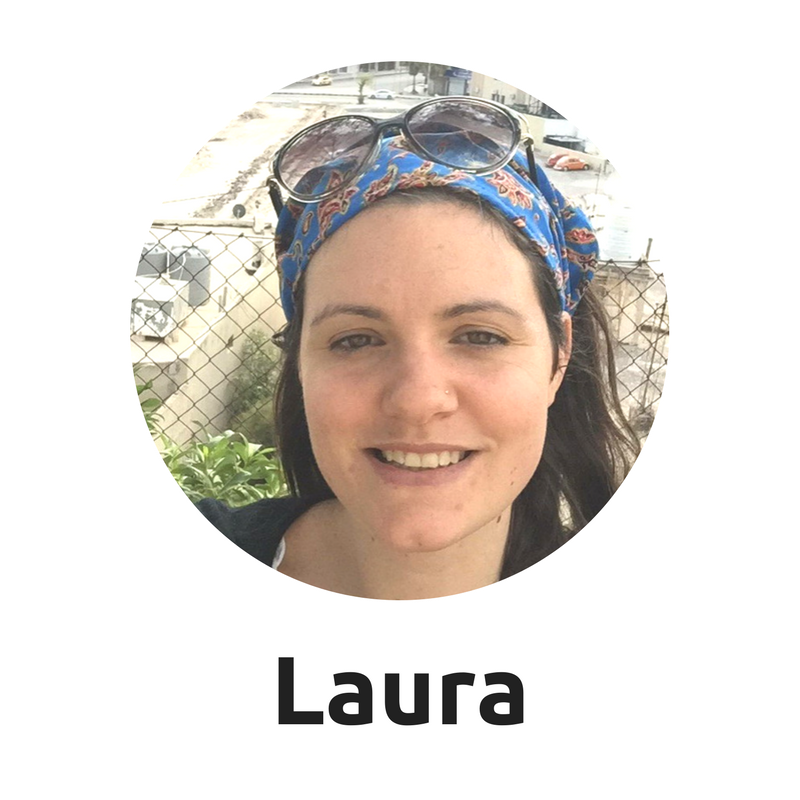 Laura is the founder of Mission Remission. She was diagnosed with bowel cancer three years ago and now spends her time writing, campaigning, and supporting Mission Remission endeavours. 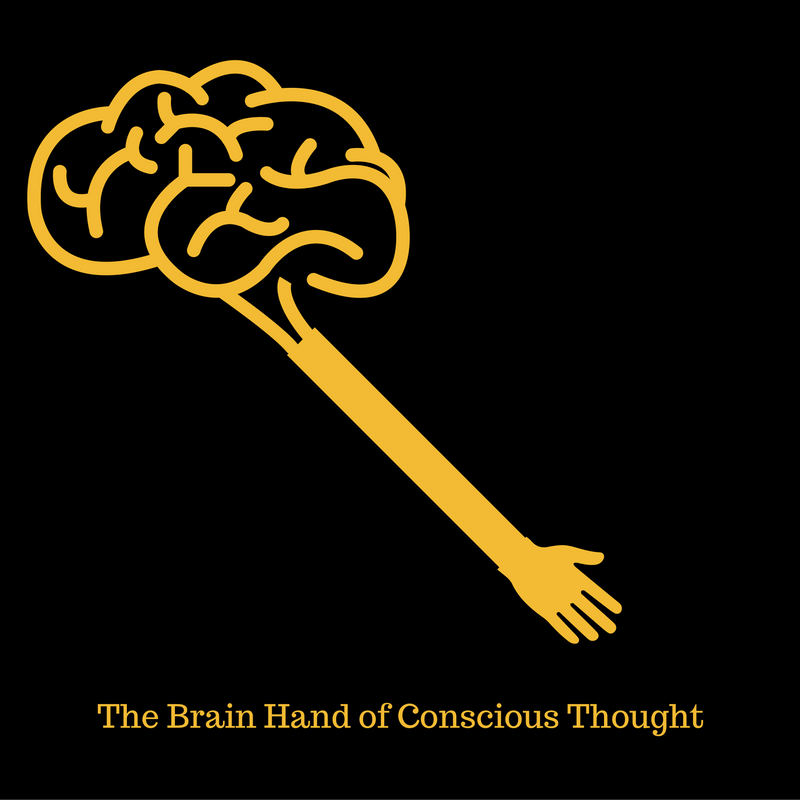 I really like the brain-hand concept! TheI really enjoyed your post. It mirrored my experience in so many ways. I am still floating on that epiphany that life is beautiful and not to fret over things because nothing is as bad as facing mortality. Even the times I panic and think that a new pain or change could be cancer’s return help me to renew my resolve to live life in joy because just being alive is the most wonderful gift there is.